EXPRESSO is 9 different hot preparations! Thanks to EXPRESSO, you can offer your guests a breakfast service worthy of the big hotels. When you know that breakfast is the most important and appreciated meal of the day, the quality of distribution is even more important to us. 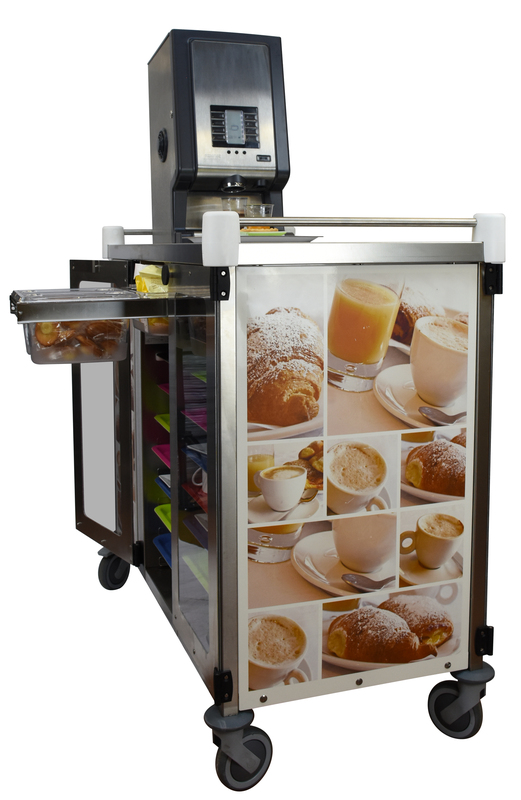 Designed in partnership with Bravilor for the drinks part, you can use any soluble product for machines. With an uncharged autonomy of 3 hours, there will always be a hot drink to serve for the gourmands.